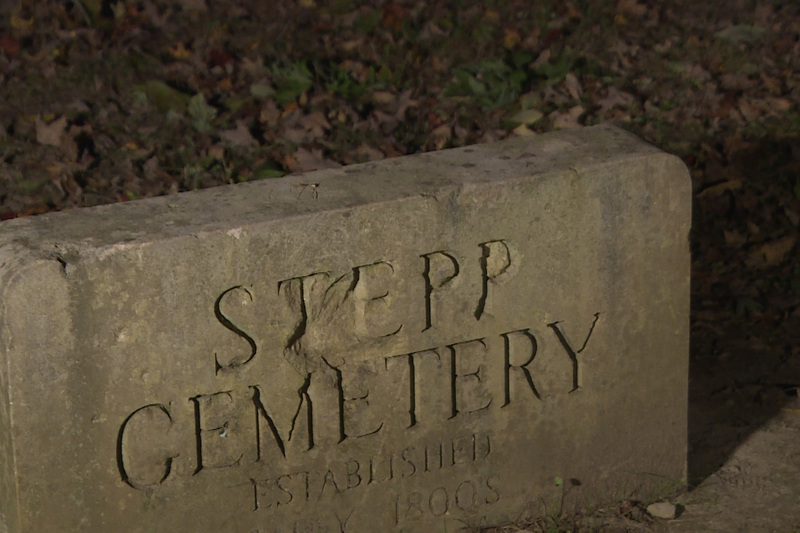 As you walk into Stepp Cemetery, you might not be able to see what so many people find spooky. But, people all over the state have heard the stories about this rural graveyard in the middle of the Morgan-Monroe State Forest. There are tales of a ghostly woman in black who appears in the cemetery and is drawn to a baby’s grave, a somehow spooky tree stump that came to be known as the Warlock chair. These are the constants in the ever-changing lore of Stepp Cemetery. Over the years the stories morph and grow, as any good ghost story should; new layers added, old details lost. 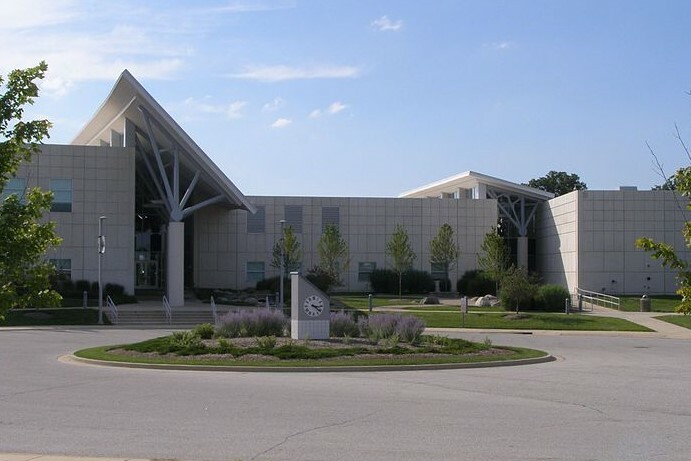 As part of our Inquire Indiana series, Grady Ray of Indianapolis wanted to know why this place has such a spooky reputation. Cemeteries are often magnets for those looking for a scare – but what’s unique about Stepp? What Gives Stepp Cemetery Such A Spooky Reputation? According to a volume on Indiana Folklore, most of the ghost stories seem to date back not much further than the 1950’s, and many variations feature spirits who died in car accidents nearby. But the cemetery itself is much older. 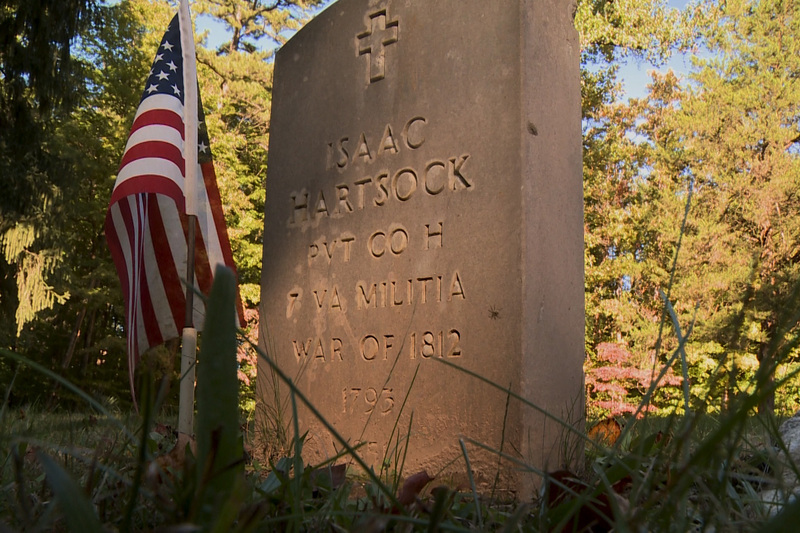 “The oldest gravestone may be of Isaac Heartstock who was a veteran of the war of 1812 and died in 1851," Sinclair says. And for years, Stepp appeared to be just another rural cemetery. The first sign of anything unsavory here was around the turn of last century. According to Indiana Folklore Volume 5, the Crabbites, a mostly undocumented, somewhat fringe Christian sect may have used the cemetery for some ritualistic practices. After a brief residency in the area, the Crabbites, pulled up stakes and moved to Brown County. Rhonda Ann Dunn is the Archivist at the Brown County Historical Society. She has done some digging in the Brown thier archives to find out the unusual history of the short-lived group. “There’s one part in revelations, where it says something about four corners of the earth where the anges will come, so the Crabbites believed the earth was square, because it mentioned four corners, and they had strange beliefs like that,” Dunn Says. 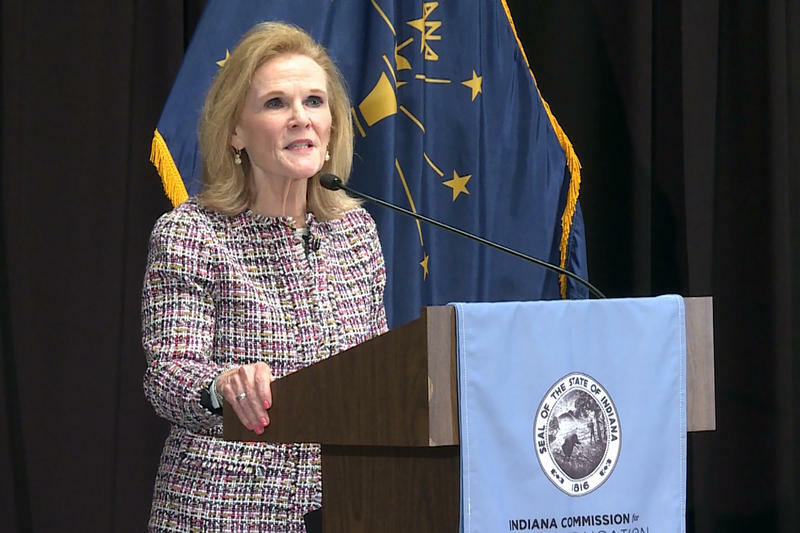 According to Indiana Folklore, One June Fulford recalls her grandfather’s story of chasing folks out of the cemetery. That was the only story like that I came across, but Dunn says the group’s leader William Crabb did have some unusual practices. While the Crabbites weren’t in the area long, they left their mark; after their departure, the cemetery gained a less than wholesome reputation. 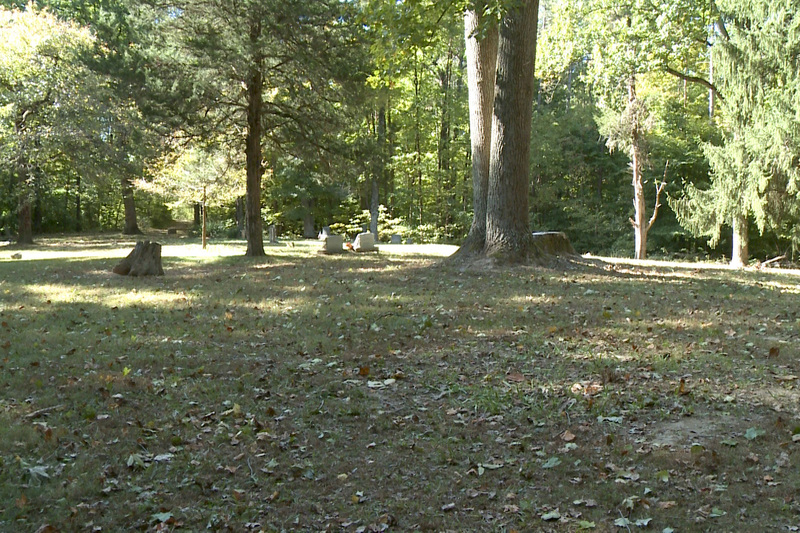 The rural cemetery got even more remote in 1929, when it became part of the Morgan Monroe State Forest. And it’s likely this remoteness only added to the lore. The remoteness likely became part of the formula. And the ingredients for a good old-fashioned scare are all there: a somewhat spooky past revolving around a strange religious sect, a remote cemetery miles from any habitation, and the final element: teenagers in cars. Most of the stories about Stepp date back to the 1950’s, 60’s and 70’s. As more teenagers got cars during those decades, they needed places to get away. Folklore texts say Stepp became a place for “beer blasts” and other late night get-togethers for young people in the area. And as the kids gathered, the stories grew. The most well-known involves a ghostly woman in black, who for decades has roamed the cemetery, sometimes exhuming what some say is her dead child from his grave, just to hold him. That grave dates back decades and still sits in the back corner of the cemetery, where people continue to adorn it with toys. The story goes, a tree stump near the baby’s grave become the place the woman in black sat to hold the ghostly child. Then that stump somehow became called the Warlock’s chair, and curses of delayed death wove themselves into the fabric of the cemetery. And while it’s always a little scary being in the woods alone, I didn’t see anything out of the ordinary. Except broken headstones. While we all love a good ghost story, the outsized reputation of Stepp has brought it more than its fair share of destruction and vandalism. The Warlock Chair is gone now, but the stories remain. Ask enough people in Monroe County, even across the state, and you’ll hear stories about sightings of women in black, and tingling neck hairs, and even some new tales, that in time, will richen the lore of this sleepy little cemetery in the woods.